I know he is a threat. He's entwined in a dangerous world I don't understand. But even that doesn't stop me from aching for his touch, for the taste of his wicked lips. Exhilaratingly wicked danger! 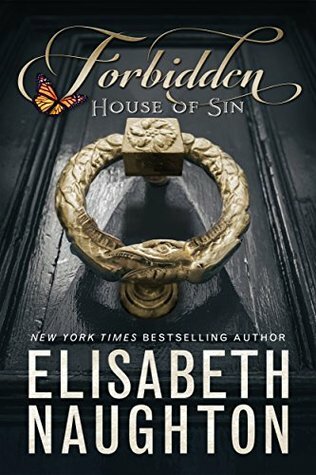 With the first book in her new House of Sin series, Elisabeth Naughton takes us deep into a tortured story that is way out of the realm of her normal type of book. I found myself in a bit of a conundrum reading it. In one sense it felt almost reminiscent of a Eyes Wide Shut type of story where things were happening, yet you couldn’t figure out what was happening or why it was happening until close to the end of the book … but on the other side of the coin, the main characters make a seemingly loving connection that keeps the reader wanting to know what’s going to happen and if they will get their happily ever after in the end. 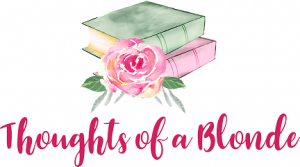 We’re left on a cliff-hanger with the second book in the series coming in just about three weeks, and yes, I’m impatiently waiting to see what happens next! Overall, I didn’t love it, but I want to know how it’s all going to play out so I obviously didn’t outright dislike it either. The characters were well-developed, the plot was intriguing and had the potential to really pack a wallop, but sadly fell a little flat. She innocently enters a world she is clueless about in order to try to find answers to what happened to an important person in her life. She never sets out to trust him much less fall for him … now she’s caught up in his world and has no clue what she’s gotten herself into or how to get out alive! He is taken with her from the first moment he lays eyes on her, but he has to get her to go away and stop poking her nose in where it doesn’t belong. If only she wasn’t so deliciously intriguing to him. He can’t resist having a taste … but he swears he’ll keep her tucked away separate from his diabolical world!